"Individual attention in a country environment"
Mick Sell has spent the past 20 years doing the hard yards to ensure that other people enjoy the glory of racing a champion. He has been the man who has introduced their horses to the task of being a racehorse, cared for them when it has gone awry, helped to attain the right level of fitness, education and happiness required to become stars of the track. Mick and his wife Mel have been responsible for educating many top liners including Black Bean, Desert Sky, Helenus and Desert Eagle to name a few. A spiritedly 6 year old stallion named Stately Dash forced Mick from behind the scenes to the stage. Unraced until he was 7 then gelded after 4 starts, Stately Dash’s owner had always had faith that the horse would make it to the track. Having spent plenty of time in Mick’s capable hands during various phases of his career, it was logical to Stately Dash’s owner that Mick should be the person to guide his career. Under coercion, Mick took out his license, took over Stately Dash’s reins and never looked back. At the beginning of August 2010, Stately Dash recorded the eighth win of his career ($190,566 in prizemoney) and is truly a demonstration of what patience, astuteness and faith can achieve. 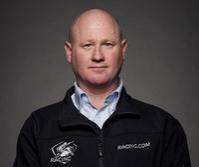 More recently Mick also gained his jumps race licence which only adds to his diversity. Mick’s philosophy is to give everything a chance to get to its best and nothing pleases him more than seeing a horse progress from day one through to the winner’s circle on race day knowing that he has played a part in ensuring its success.